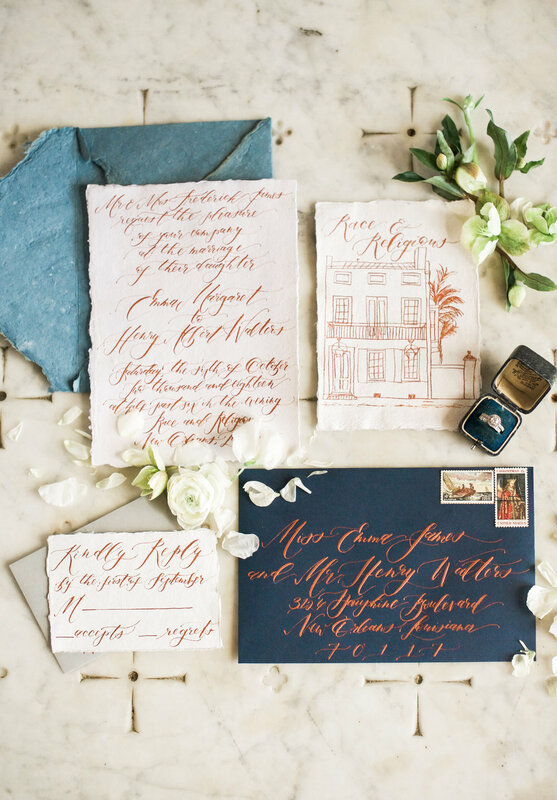 PRETTY POST CALLIGRAPHY IS AN INVITATION DESIGN & CALLIGRAPHY STUDIO LOCATED IN FORT WORTH, TEXAS. WE SPECIALIZE IN BESPOKE WEDDING INVITATIONS, CALLIGRAPHY, HAND DRAWN ILLUSTRATIONS, DAY-OF DETAILS, AND CUSTOM SIGNAGE. OUR PRODUCTS ARE THOUGHTFULLY DESIGNED TO REFLECT THE UNIQUENESS OF EACH OF OUR CLIENTS, AND WE BELIEVE THAT YOUR WEDDING DAY PAPER AND CALLIGRAPHY DETAILS SHOULD BE AN INTENTIONAL REPRESENTATION OF THE LOVE YOU SHARE.